Freddy and دوستوں. . HD Wallpaper and background images in the Five Nights at Freddy's club tagged: photo. 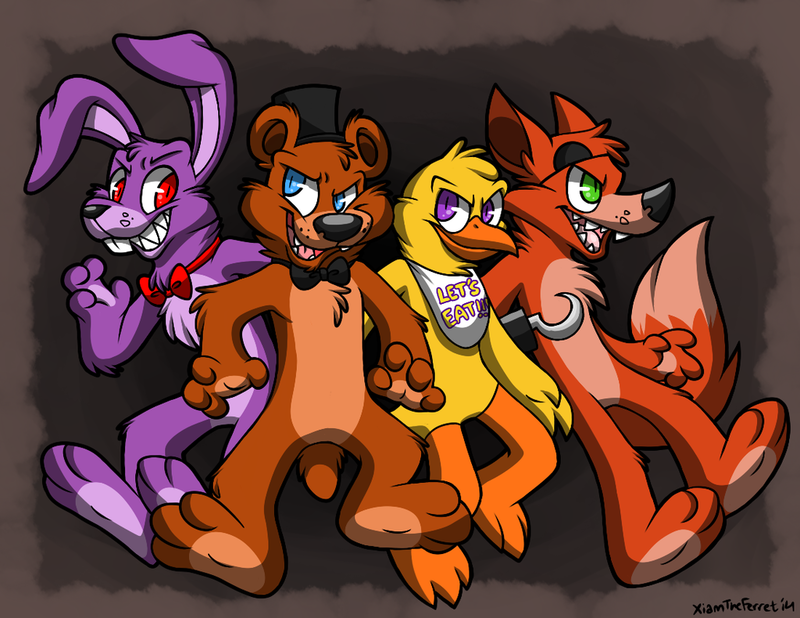 Oh my God,look at Chica and Freddy they look like they say:it's time to eat your soul..